Thirty two students and apprentices have just enjoyed student week at Tony Gee and Partners which involved an 850 mile tour of Britain to experience all that civil engineering has to offer. Jackie Whitelaw reports. "An assault on the senses” is how Tony Gee and Partners HR manager Gareth Drought describes the experience of witnessing steel making at Tata Steel in Scunthorpe. Drought was taking 32 second, third and fourth year sponsored students and apprentices on a learning trip of a lifetime as part of their summer placement education with the company. And the memory of the bright bursts of energy, heat and taste of the process that creates the material many of them have been designing with will stay with them for a long time. 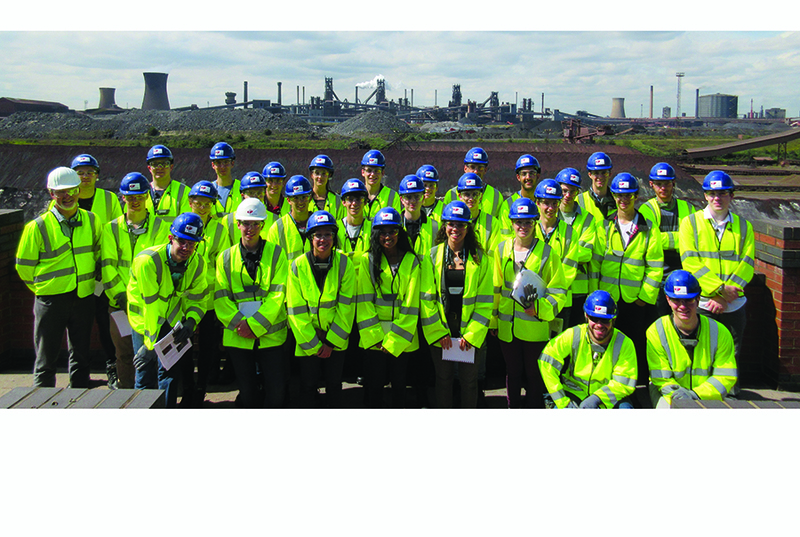 Scunthorpe and Tata Steel was the third stop on a journey that started for the group at the consultant’s head office in Esher, Surrey. Tony Gee and Partners has a long history of sponsoring students and is building its crop of apprentices. But the firm likes to introduce them to the realities of the civil engineering world to help them make sure they are making the right career choices. Tony Gee has a big workload in road and rail but it is also highly sought after for it’s marine designs. So first thing after the Esher induction to the business was to pile everyone into two mini buses, one driven by Drought, the other by the firm’s executive managing director Graham Nicholson, and set off for HR Wallingford, there to understand the mysteries of the marine world. 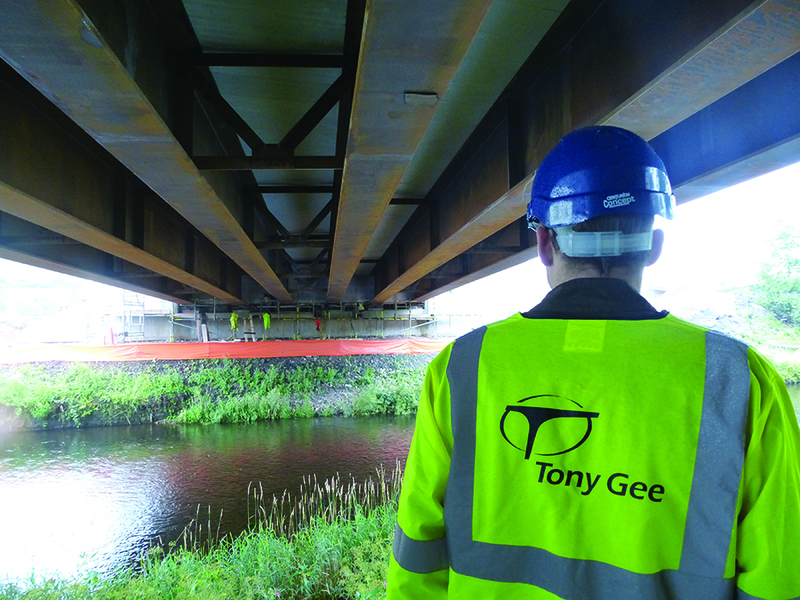 Care and close attention to student development has been fundamental to the Tony Gee business and the student weeks have been running for around 15 years. Nicholson is passionate about investment in students and a week of his time with his protégées is worth a lot to them and to the company. 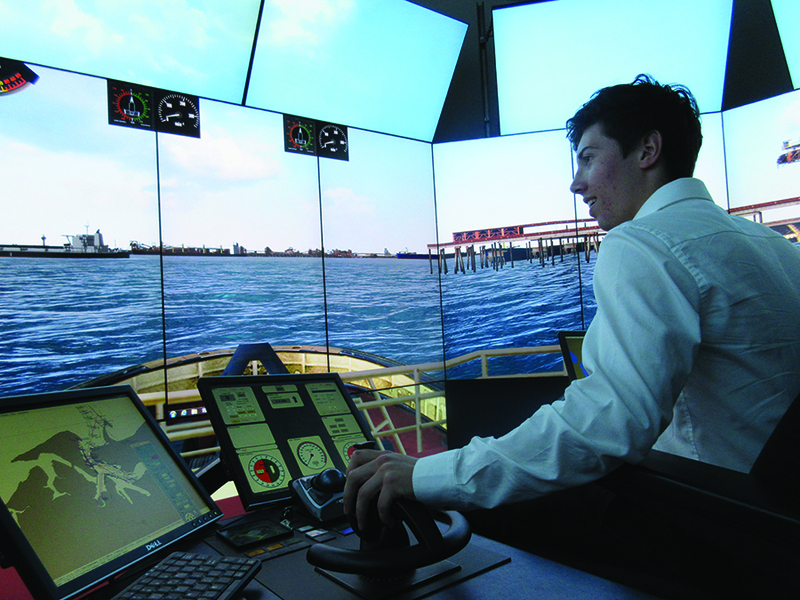 HR Wallingford introduced the group to its coastal models, wave machines and flumes, and, great fun this, the ship simulator. Next, after a night’s sleep in Esher, off they all went to Laing O’Rourke’s off site construction Explore facility in Worksop. Cue “eyes wide open” for the students as Drought describes it, as they witnessed the future of the industry they are joining first hand, and saw how automated prefabrication in factory conditions works and is revolutionising construction. Then it was off to Scunthorpe and another pitstop at The Travel Lodge before experiencing the primeval process that is the creation of steel. If their senses were on fire then, it was the emotions that were affected next. Everyone got back to Esher and another night’s sleep emotionally and physically wrung out. The last day was London and trips to two extraordinary sites – Crossrail and London Bridge. 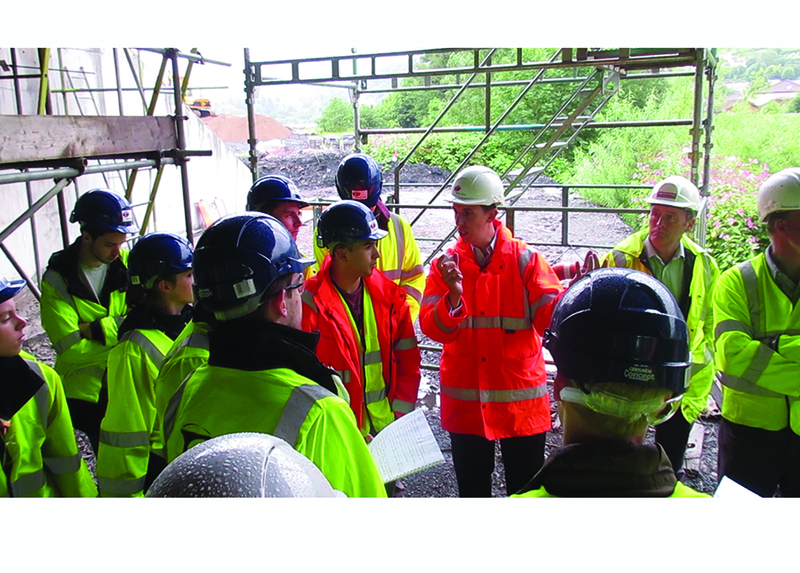 Then everyone walked in full PPE – as supplied to everyone by Tony Gee at the start of the trip – for a 40 minute walk in full capital heat to London Bridge where they were shown round the whole development. It was quite a week, for the students and the bosses. “We all got to know each other very well – those buses can only go at 60mph,” Drought says. The enthusiasm from the students from the week has been extraordinary, he says. “They are all properly fired up about how wonderful engineering is and how exciting their career can be,” Drought says. “As a company we want to say a huge thank you to all our hosts who were universally marvellous and really put themselves out. “In the office when designing structural elements to support specific loads we don’t often think about the origins or behaviour of the specific element, we just carry out the written procedure. But it’s essential to understand its behaviour and why it behaves this way. Visiting Tata Steel was great for this as we could see and appreciate the huge process associated with the creation of each steel section, and the properties associated with the material once completed.” Louiza, Surrey University. “As an Apprentice, I found student week a brilliant experience overall. I have certainly benefited masses from visiting site as it helps to grasp some of the real engineering concepts that take place and actually see them as they happen. It was also fascinating to see how sites operate.” Craig, South Thames College. “Meeting fellow students who were in similar situations to me and hearing what positive experiences they have had whilst at the company was a great confidence boost for me.” Eunan, Surrey. “From my own perspective it was an eye-opener into just how large the scope of work that not only civil engineers are involved in but Tony Gee and Partners as a company which made me proud to be a part of it all - Craig, Bridgewater College. “Being on site allows you to experience the constraints and challenges that contractors face. I’ve found it really useful to exchange experiences and tips and have also had some really interesting discussions with other students.” Jess, Loughborough. 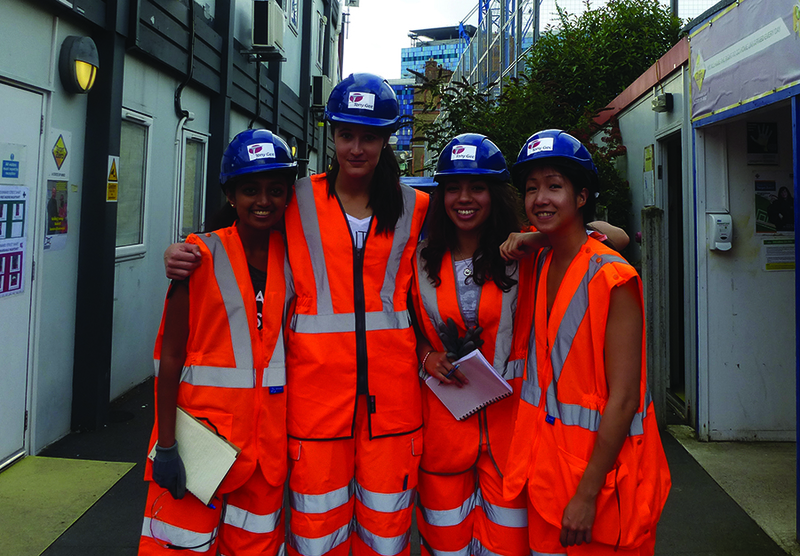 “The diversity of destinations visited over the week - test facilities, fabricators and construction sites – enriches the industrial experience which a student receives as part of their placement at Tony Gee and Partners.” Jo, Surrey.